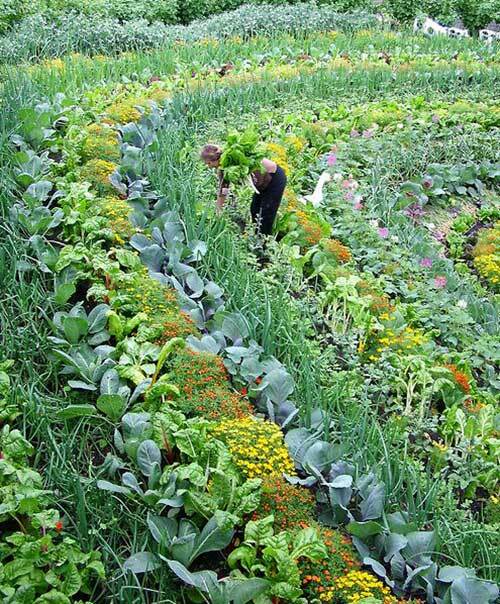 There is nothing quite as wonderful as a veggie garden. Sure, flowering plants smell nice, but can you eat your roses or lilies? Only when you plant veggies can you eat the results of your labors. Veggies do not always look pretty, and they are A LOT more work than flowers, herbs, or a well landscaped backyard, but the results are always worth it. Being able to put fresh leafy greens, cabbages, lettuce, carrots, turnips, and tomatoes on your dinner table can give you such a rewarding feeling, so it’s definitely worth the investment of time–and money–that goes into growing your own veggie garden. We’ve got so many awesome vegetable garden ideas here, but we’ll also walk you through the process of setting up that veggie garden. 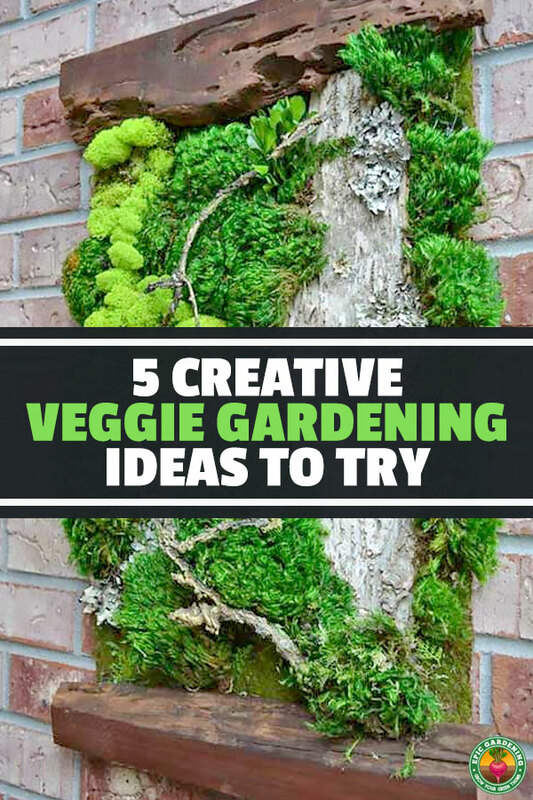 By the time you reach the end of this article, you’ll have chosen from the epic veggie garden ideas and be well on your way to growing your own plants. Good luck, and happy planting! Just like anything else, it takes time, planning, and preparation to build your veggie garden. It’s not going to grow overnight, and before you even begin to plant, you need to prepare the garden for growing. How can you do that? Step 1: Design the garden — What is your garden going to look like? Will you use rows, patterns, cages, or trellises? Think about what kind of veggies you want to grow, and design your garden accordingly. Step 2: Raise the soil beds — Before you plant, you need to raise the soil beds. 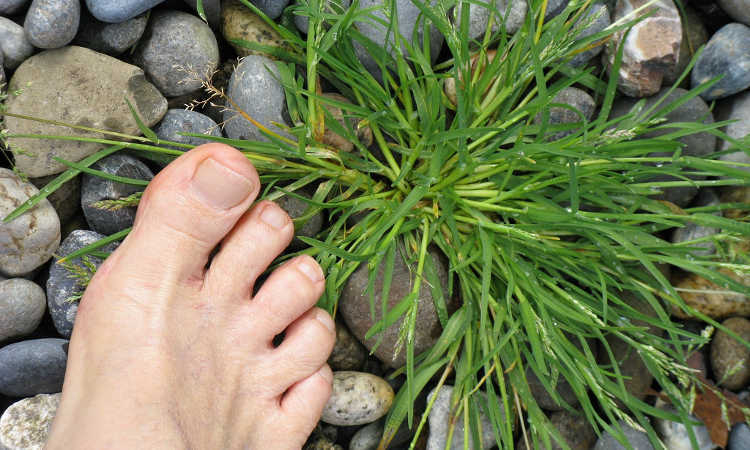 This is a practice that has been used for thousands of years, and it will improve drainage, increase heat absorption, and promote faster plant growth. You want to raise the soil beds no less than 6 inches above the level of your foot path. You can even raise the beds up to 18 inches if you want! Bonus: The higher the soil beds, the less you have to bend over to pull weeds! Step 3: Use the right soil — Make sure that you have chosen the right soil to plant your veggies. 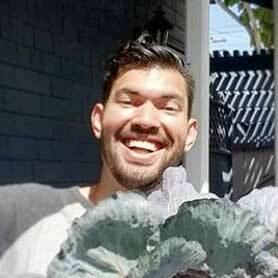 Veggies need soil that is both rich in organic matter and has plenty of moisture and drainage. The soil needs to be loose, not too heavy, offer good drainage, and have plenty of NPK (nitrogen, phosphorous, and potassium). 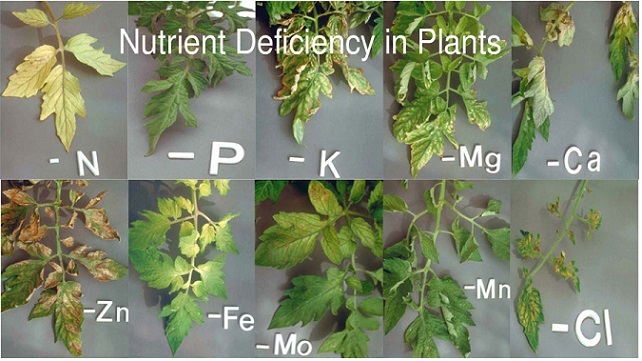 Make sure the soil pH is somewhere between 6 and 7. Step 4: Get planting — With the right soil, you’re ready to plant those veggies! Just like that, you’ve begun growing your own vegetables right in your backyard. 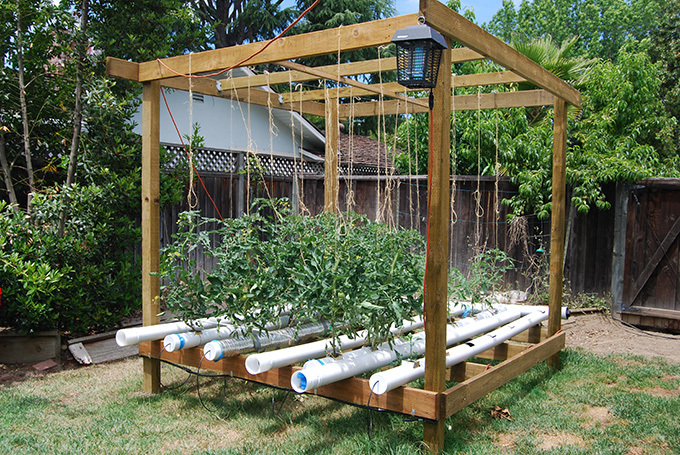 Yes, there are other things you will need to ensure your veggies grow properly (watering system, greenhouse structure, trellises for vines, light and heat lamps for the winter, etc. 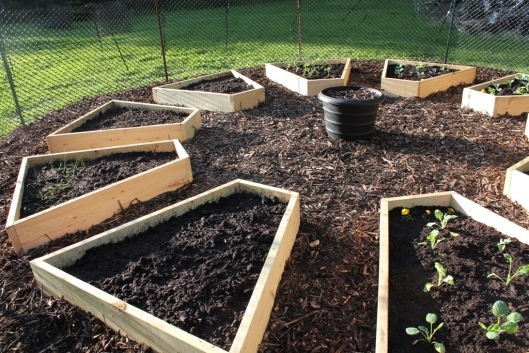 ), but the four steps above will help you get started with your veggie garden RIGHT AWAY! Why do you need supports for these plants? Simple: they are all climbing plants! While root veggies (carrots and turnips) or leafy greens (cabbage, spinach, etc.) stay at the level of the soil, the veggies listed above need room to climb and stretch their stalks in order to grow. Adding supports will give the climbing plants space to grow properly. 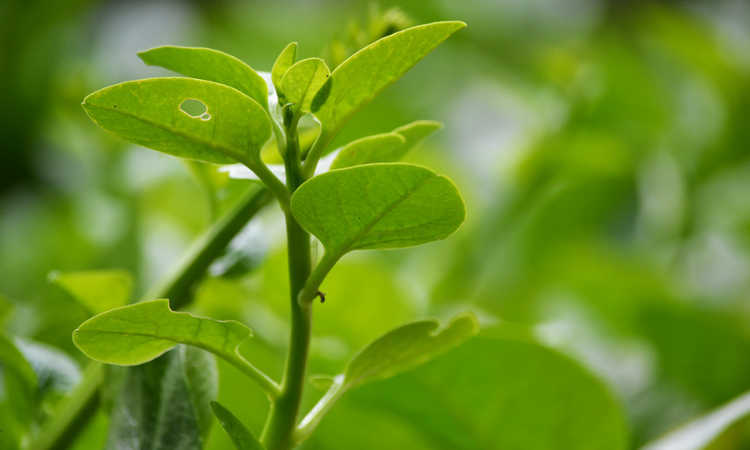 Not only will adding supports help to reduce the amount of ground space occupied by the plants, but you’ll reduce the risk of the plants contracting diseases. The supports can also give your gardens a beautiful visual appeal, as you will have lots of colorful flowering plants creeping up the side of trellises, canes, and other supports. 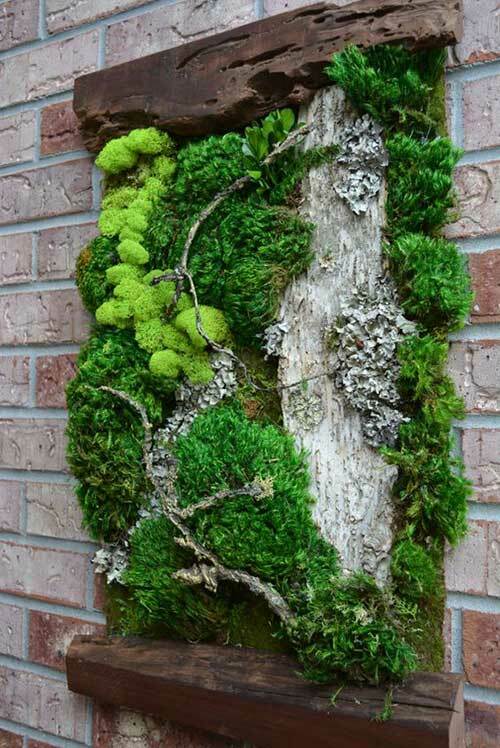 Definitely a wonderful look for your garden! 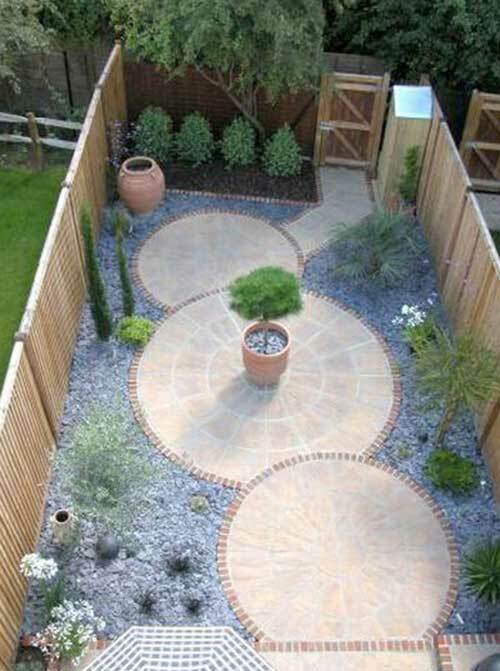 Most people plant their gardens in the classic square or rectangle shape, but why not get creative and plant a circular garden, an octagonal garden, or even a garden planted in the shape of a triangle? This will help to make your garden look more decorative, especially if you are planting colorful veggies. Most people think of a veggie garden as being a large area with row after row of cabbage, lettuce, and other ground plants. But why not fill your garden with trellises, bamboo teepees, canes, and other supports? You’ll find that they will help your plants to grow tall and strong, and you will use far less ground space. Your small plot of land can yield A LOT of tomatoes, cucumbers, and other veggies grown on climbing plants. Plus, harvesting your veggies is SO much easier because you don’t have to bend over! 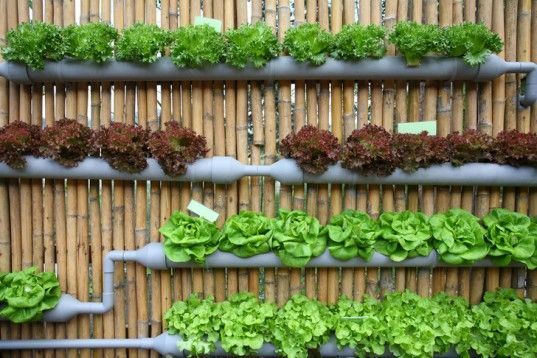 These are just a few amazing veggie garden ideas, but there are so many more to consider (container garden, aquaponics garden, hydroponics garden, portable garden, etc.). 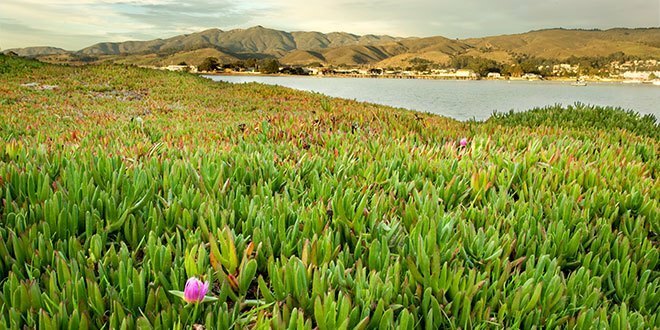 Think about what type of garden suits your property best, and plant accordingly!